Provide comfort for the family of Charles Trent with a meaningful gesture of sympathy. 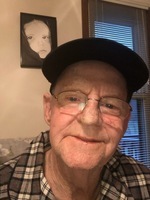 Charles Edward Trent, 77, died on April 04, 2019, at his home with his wife Janice and granddaughter, Hannah by his side. Charles was the 3rd youngest son of Lewis Cass Trent and Jonnie Davis Trent born January 18, 1942, in Hawkins County, Tennessee. Charles and Janice have one daughter, Melissa Phillips of Elizabethton. “Many waters cannot quench love; neither can the floods drown it….” Solomon’s Song 8:7. Charles was a 4- year letterman as Quarterback from 1959 to 1961 for the Church Hill High School Panthers. Number 10 has finally retired to be with his Lord who he accepted at Belmont Baptist Church, Mt. Carmel, TN, on February 15, 1973. He is survived by his youngest brother, Ralph and his wife Kay and their daughter Tara Trent. Charles is also survived by Press, Jack, Ray, Minnie and McKinley. Charles retired from Holston Army Ammunition Plant after 32 years of service. After his so called retirement, he wore many different hats, electrician, gardener and liking life. He and his wife Janice were off on another adventure as a team of long haul truckers until time to ride their Harley. Another chapter was yet to come and discovered it as a school bus driver for C & S Transit, Mike & Barbara Cox, for 7 years. His kids called him “Mr. Charlie”. He did not want to retire but, at last health issues would not let him search for another calling. Heartfelt gratitude to Amedisys Hospice and Smokey Mountain Medical Supply of Elizabethton, Tennessee for their kindness. A private graveside service was held Saturday, April 06, 2019 at 3:00 p.m. officiated by Rev. Harry Vicars, brother to Janice. Special music provided by his brother Ralph. East Tennessee Funeral Home greatly assisted the family. East Tennessee Funeral Home is honored to serve the family of Mr. Charles Trent. To send flowers in memory of Charles Edward Trent , please visit our Heartfelt Sympathies Store. Provide comfort for the family of Charles Edward Trent by sending flowers.